It’s kind of unbelievable, but 2019 has arrived and it looks like it is going to be a great year, especially in Cabo San Lucas. 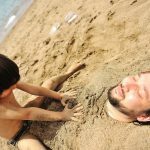 Tourists and locals are always enjoying fun activities because the weather year-round is fantastic and the gorgeous beaches in Cabo San Lucas are world class. You may not know it, but Cabo San Lucas it the perfect place for cultural events as well. 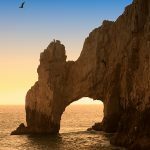 In mid-February, the Cabo Jazz Festival will be returning to Cabo near San Jose del Cabo, which is just a short drive from the popular tourist hot spot Cabo San Lucas. You don’t want to miss the Cabo Jazz Festival in Feb. 2019. Continue reading below to learn more about this exciting cultural event that the whole family will enjoy. Are you a lover of culture and music? If you are, then great news because the San Jose Jazz Festival will occur on February 17th and 18th in San Jose del Cabo. 2019 is the fifth year for this amazing Jazz festival. Cabo San Lucas is a top tourist destination and San Jose del Cabo is just a few minutes from there. You won’t find a better place to go for tourists and locals who want to leave Cabo San Lucas for a few hours and enjoy culture and music. 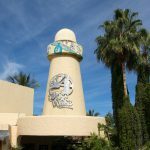 The Cabo Jazz Festival will be held at the Plaza del Pescador, which is in the San Jose Paseo area. The event will be held from 5:00pm through 11:00pm on both days, and visitors will get enjoy some local talent along with international and national artists as well. 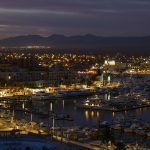 Over the last few years, the Cabo Jazz Festival popularity has been increasing as more and more visitors attend, and over 5,000 visitors have been thrilled with the music, art, and culture over the last few years. The entire family, locals, and tourists will feel at home in the relaxed and wonderful atmosphere. You can walk around the town and listen to great music and soak in the perfect winter weather in Cabo which is warm and comforting. Cabo San Lucas is known for having sunny and warm weather year-round, which makes this the perfect time to be outdoors enjoying live music with your friends and family members. Attendees with the Cabo Jazz Festival will truly enjoy the delicious foods and drinks that are served at the local bars and restaurants. You and your family and friends can go shopping in the square where the jazz festival will be held again this year. Visitors can stroll through the plaza doing window shopping, or you can choose to go to one of the great restaurants where you can enjoy a delicious dinner while you watch others stroll past. The jazz sounds will fill the air, so make sure you relax and appreciate all the blessings that you have in your life. 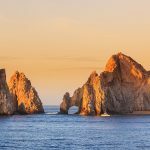 The Cabo Jazz Festival scheduled for Feb.17th and 18th, 2019 only improves each year. The locals and vacationers that are here always support the jazz event. You don’t want to miss the Cabo Jazz Festival (Feb. 2019), which will be held in San Jose del Cabo. You won’t regret attending this amazing festival. 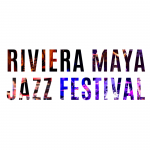 Share the post "Cabo Jazz Festival 2019"